Tips for Western professional women working in Japan posted on “culture 99”. I presented in Webinar organised by Culture 99 “Tips for Western professional women working in Japan”. The recorded version is just posted on web site of “culture 99″. Beate S. Gordon, who established”The Gift from Beate”, a story and history of the establishment of Japanese women’s human rights, is also posted. Thank you very much for good comments, Matthew! “Yoshiko combines her cultural and experience in Japan with her many years in Europe to deliver a unique view of Western / Japanese difference – These 5 short film highlights give a context and background to the women working in Japan with ideas and strategies for success. A big thank you goes to Yoshiko from the ITC and its followers. Author Yoshiko KURISAKI　（栗崎由子）Posted on 27/02/2016 21/03/2019 Categories Inter-cultural communications, professional womenTags Business, Cross-culture, Europe, Japan, Professional womenLeave a comment on Tips for Western professional women working in Japan posted on “culture 99”. Yahoo Japan announced that the company will start selling the food close to the limit of the date of the sale or out of the season, using its auction site “Yahuoku!”. The company will sell the food at the discount price by 30 to 90% , thus contributing to reduce the volume of the loss of food. The Ministry of Agriculture, Forestry and Fisheries estimates the annual food loss would be five to eight million tons in Japan. Comment: This business is possible thanks to very efficient delivery systems all over Japan. Otherwise, it could be a risky business, as Yahoo can’t deliver the food that has gone over the limit of the sales date. The Governments of Japan and the US agreed to increase the flights from Haneda to the US on 18 February. The agreement included permission of daytime flights (departing and arriving between 6:00 and 23:00) . Consequently, it is expected that daytime flights between Haneda and the East Coast of the US, namely NYC, will start from the autumn. While this will improve convenience of business passengers, decrease of services from Narita, another major international airport serving to Tokyo, is anticipated. Comment: It is natural that demand to improve convenience of Haneda Airport is high, due to a good access to downtown Tokyo. Airports are in competition with each other, domestically and internationally. Narita airport needs strategy to improve its importance in the airport systems in all over East Asia. Ministry of Education, Culture, Sports, Science and Technology of Japan (MEXT) released examples to include English in the school calendar. This is to demonstrate possible ways for elementary schools to include two school hours of English (one school hour is 45 minutes) every week. English will become compulsory for the 5th and 6th grade schoolchildren from 2020. Comment: While it’s good to start learning English from the elementary school, a major problem is that school calendar is already full due to other compulsory subjects. Revisiting of the necessity of present volume of existing subjects may be needed. Imasen Engineering Corporation (http://www.imasengiken.co.jp/en/index.html), a manufacturer specialised in prosthetic legs (Kakamigahara-shi, Gifu), has developed spikes that may be attached to prosthetic legs, jointly with Mizuno Corporation (sports equipment and sportswear company, of Osaka). The spikes may be attached to the prosthetic legs manufacturer by other companies. Imagine also developed a special cover for the spike so that the athletes may not be obliged to remove the spike to walk in areas where spikes are prohibited, such as toilets in arenas. The company aims that the spikes will be adopted at the forthcoming Paralympic in Rio de Janeiro. The spike has been developed upon advice by Mr. Atsuhi Yamamoto, a silver medalist of the long jump at Beijing Paralympic in 2008. Comment: The core competence of Imasen is mechatronics to support human beings. For example, its group company produces various device for automobile seats. It is an excellent example that a good technology helps the handicapped, when user’s experience is fully taken into account. The ministers of Foreign Affairs of the countries that own nuclear weapons, the US, the UK and France, would be visiting the Peace Memorial Park located in Hiroshima city. They are visiting Hiroshima to attend the meeting for Ministers of Foreign Affairs to be held prior to the G7 Ise Shima Summit. If the plan comes true, it will be the first visit by the Ministers of Foreign Affairs of the countries that own nuclear weapons. Comment: It is always good for anyone to see in reality the consequences of the nuclear weapons on people and the city. Interested in what’s inside Japan? Want to know more about Japan? Want to know more than a traveler? Wish to understand the values behind the polite behavior of people and beauty of the arts in Japan? Want to understand the Japanese customers? If you say, “YES” to one of the questions above, the course is for you! Let’s go into Japan with interesting videos, exercise of Origami and discussion with a senior Japanese expert! People who said “YES!” to any one of the questions above. To learn much about the Japanese society and way of thinking with fun! To drive knowledge acquired at the course to action, adjusted to individual work and issues with Japan. BER’s students will enjoy 10% discount. The Ministry of Land, Infrastructure, Transport and Tourism (MLIT) has set out a plan to assign a private company to operate the four major state-owned airports in Hokkaido. The MLIT will start negotiation with local municipalities aiming at the start of the privatization in 2019. It will be the first time for the MLIT to privatize the operation of national airports altogether at the same time. The airports concerned are; Shin Chitose, Hakodate, Kushiro and Wakkanai. Comment: Privatization of an airport operation has been increasing in Japan. A major issue has been reduction of rent of the airport building as well as landing fees. It is worth monitoring if the privatisation of airport operation will lead to cost reduction. Rakuten, the largest e-commerce company in Japan, announced that the total of the domestic circulation for December, 2015 period was 2,675 billion yen, the highest record for the company. Although Rakuten remains to be the number one in e-commerce, its growth rate has been decreasing, allowing its rivals, such as Yahoo and Amazon, to come closer. Comment: This may signal the time for innovation in sales for Rakuten. Zenrin Co. Ltd., a major Japanese map publisher, has started a user experiment of an online map service that displays areas where a small pilotless plane (Drone) may fly. The company will make the map available to the public on the dedicated web site （http://www.uas-japan.org/mapservice) till mid-March to seek opinions of users. The market launch of the map service will be in April. Comment: Zenrin has spotted a business opportunity arising from the enactment of the amendments of the Aviation Act. Drones are required to obtain permission before flying, according to the amendment. Dai Nippon Printing Co., Ltd. (DNP), the largest printing company in Japan has been developing a system to enable readers to read the electronic books faster than average speed. While the key of a fast-reading technic of paper books lies in the training of eye movement, it is an information technology (IT) that help readers. DNP has been testing the system in cooperation with the Future University Hakodate (Hokkaido) since 2012. DNP says that the system will allow to read 1.3 times faster than usual by moving and relocating the letters and words on the e-books. Comment: Letters moves on a page of an e-book, as seen in a video clip attached to the original article. Letters are not fixed on the paper any more. They dance and help busy readers to read fast! The Japan Tourism Agency (JTA) has announced that the number of visitors from People’s Republic of China (PRC) had reached to 475,000 in January, 2.1 times more than a year ago. Compared with the number of visitors in December last year, this number was an increase by about 40% . The rapid growth thus continues, despite a decreased economic growth in China. Comment: No surprise that Chinese speaking sellers are in every tourist spots, such as mobile phone rental shops at airports, electrical appliance shops in Akihabara, Tokyo, etc. The Japanese Government plans to include in the voters who are eligible for the postal vote those persons, mainly elderly ones, who may not be able to go out by him/herself. The new regulation will be applied from the election of the Upper House planned in July. Presently, only those certified as the “Needing Nursing Care-Level 5”, the level applied to people with heaviest difficulty in mobility and needing a long-term care, are allowed to vote by post. The Government plans to amend the government ordinance to include those at “Needing Nursing Care-Level 4”. This change will allow about 740,000 more voters to become eligible for postal voting. Comments: This amendment is a good start. Why not allowing the voting by post to other people who may not be able to go to the voting sites on the day of voting for a variety of other reasons? Mr. Terry Gou, Chaiman of Hon Hai Precision Industry (Taiwan) started on 5 February the final stage of negotiations for the acquisition of Sharp at the its headquarters in Osaka, Japan. Mr. Gou left Taiwan on 4 February, saying, “I’ll sign the agreement.”, according to a source from Hon Hai. Comment: Sharp is strong in technology while weak in finance. Hon Hai’s stake is to strengthen its technology using its large financial resource. How will the companies manage this opportunity for their interests? Amazon, a specialist of online shopping services, has started a free information service by phone for consumers to consult with sommeliers when buying wine. The sommelier recommends up to three wines out of over 8,000 wines sold by Amazon, that would match with the consumer’s preference and budget. This service is the first consultation service by telephone for Amazon and is available in Japan only. Those consumers interested in the sommelier service input their phone numbers in the Amazon’s web site. An expert of wine calls them back between noon and 5 PM on weekdays to advise which wine to buy. The service is addressed to a wide range of consumers from beginners to advanced wine lovers. Comment: It is interesting that an IT savvy company like Amazon uses an old media, such as phone calls, for an information service. This may be because selection of wine is so personal in nature that computer-based service can’t meet consumer needs. A league of bipartisan Diet member is to start this month to alleviate poverty of children. Nine members of the Diet from seven parties, including the Liberal Democratic Party, the New Komeito and the Democratic Party, announced the prospectus on 8 February. The league plans to recommend policies for the poverty alleviation to the Government so that they would be taken into account in the “Dynamic action plan for 100 million Japanese” ( a police framework for revitalizing the economy) which the Government plans to announce in the Spring or the national budget from the fiscal year 2017 onwards. Comment: Alleviation of the increasing child poverty is a national challenge in Japan, because child poverty will reproduce poor population for generations in the future. Politicians are responsible for creating fundamental changes to improve income distribution in society. Yamaha, a well known vendor of musical instruments (Hamamatsu, Japan), is developing technologies that enables us to read in-house announcements broadcasted in railway stations, shopping centers, airports, etc. translated in many languages by an application of a smart phone. Yamaha is currently testing the system in the field, e.g. shopping centers, boarding gates of domestic departures, and local buses that serves areas where there are many foreign residents. The key of the system is to integrate “the secret sound” that human beings cannot catch in announcements. The system does not require the Internet connection or an additional equipment. The languages being tested include English, Thai, Chinese and Korean. It is expected that the system will largely help foreign visitors and residents, and people with hearing disabilities. Comment: This system is an excellent example of Corporate Social Responsibility (CSR) taken by a specialist company of the sound. We had great food for thoughts watching a video of amazing Japanese. The video is taken in the first morning of the Tokyo Comic Market in 2012. Here you are, major point of our discussion. B thought it happens only in Japan, not possible in Europe. P and S said what to see here is that the people in the video are not military solders. They are doing it voluntarily. This makes the Japanese unique and sometimes amaze the Europeans. P said that whats behind this behavior may be a strong social punishment to those people who don’t keep rules. Y asked why people keep rules, though they are enthusiastic comic lovers, who’d have creative spirits. Why people didn’t show creativity or originality in queing? S thought it because of fear to take risks. The people in the que thought it better to be submissive, even though they are creators in one way or another. He saw the same attitude of risk avoidance in doing business with the Japanese. S went on to say that harmony had a great value in Japan and that the Japanese harmony meant an agreement by everyone. This value may underly even in the mindset of creators. You won’t be accepted by CEO if you reach him/her by skipping hierarchy in a Japanese organisation. In contrat, you’d be accepted in Switzerland. Y explained a fundamental difference of “KO” between the Westners and Japanese. “個　(self)” and “孤 (being alone)” are pronounced “KO” in Japanese. The Japanese are afraid of, or don’t want to be alone, or “孤”, while the Westners stick to “個”, not being afraid of being alone. We reached a kind of conclusion that the Japanese nee rules all the time. Without rules, people don’t know how to behave. That’s why even the young people with artist in mind seem to have no problem to follow guidance provided by the organiser of the show, as we observed in the video. The rocket industry would be added in March to the industries included in the special economic zone to promote the aerospace sector in the Chubu region in Japan. A major incentive is that the Government pays the interests of the debt of vendors that manufacture parts of rockets. It is thus intended to encourage the capital investment and market entry of those vendors. The special economic zone concerned is “the Asian number one special economic zone of aerospace cluster”, which address companies located in five prefectures of the Chubu region; Aichi, Gifu, Mie, Nagano and Shizuoka. Comment: Swiss companies having business with the aerospace sector may benefit from this move. The percent of those school children who think, “I’ll be happy if I graduate from a good University” reached 78 per cent, up from by 17 per cent from 9 years ago, according to a research announced by Benesse Educational Research & Development Institute (BERD) on 28 January. A researcher considers this result as an influence of the heavy emphasis on scholastic achievement on children. This is a result of the research undertaken last year by BERD addressed to children of primary, junior high and high schools last year. All were public schools and 9,726 children responded. Comments: It appears that Japan has not changed in the past 50 years. Where is children’s dream? The Bank of Tokyo-Mitsubishi UFJ, Ltd . is developing own cyber currency. The currency is one of the “Fintech”, new financial services using information technologies (IT). A major expected benefit of the new cyber currency is to largely reduce costs of financial transaction, thus reducing charges of international transfer. While the Bank plans to use the new currency in-house only for the moment, it may issue the currency to customers through the exchange with Yen in the future. Commets: The cyber currency had rather an unhappy start in Japan due to mismanagement of a major cyber currency dealer. This move by a major Japanese bank is worth watching to see if the public would change their perception and benefits from the cyber currency. The more your boss is favorable to raising children, you’d wish to have more number of children — found a research undertaken by Okayama Prefecture. This proves that incentives for bosses to support raising children would be a key to increase the number of children. The survey was undertaken via the Internet with 2751 men and women who were married and whose age were between 20 to 19 years in August and September last year. Comments: The result is interesting, though there are a number of other important factors parents would need to have more children, such as assurance to leave the office on time, husbands’ participation in house work, housing for families at an affordable rate, etc. The Japan Aerospace Exploration Agency (JAXA) and the Japan International Cooperation Agency (JICA) begin monitoring of the illegal tree felling of the equator area using an earth observing satellite “Daichi (the earth) 2”. The organisations will make the data available to the public for free from August so that countries concerned will be able to take preventive measures. Daichi (The earth) 2 was launched in May, 2014 and has ability to monitor status of the ground for 24 hours regardless of the weather. Comment: I hope many people and organisations will benefit from the data to alleviate illegal tree felling! Webinar, 3 Feb. (CET) Seven (7) clues for Western professional women in Japan. Please register for this unique opportunity to hear from a Japanese person about Japan tackling the question of Western women succeeding in the challenging environment of Japan. Tokyo is changing rapidly. What should Western professional women do to work successfully with the country? Do feel free to pass the registration link onto anyone in your circle who may benefit from the show – there is zero cost to participate. I can personally recommend Yoshiko as a witty and knowledgable presenter. Seven (7) clues for Western professional women in Japan. What is essential for Western women professionals in Japan to know? What are the rules in Japan? What is the Status of Japanese women and the Gender gap in 2016? Japanese values in business – How are they different? The Feminine attitude expected in Japan, etc. 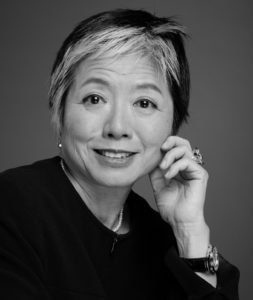 Yoshiko Kurisaki is an executive consultant in cross-cultural management, specialised in helping businesses work better together between Europe and Japan. Living in Geneva Switzerland, She is a Japanese national possessing a unique competence drawn from over 10 years business experience in Japan and over 25 years in Europe. Her passion is resolving cultural issues. Author Yoshiko KURISAKI　（栗崎由子）Posted on 01/02/2016 21/03/2019 Categories Inter-cultural communicationsLeave a comment on Webinar, 3 Feb. (CET) Seven (7) clues for Western professional women in Japan.